Denver, Colorado is one of America’s premier adventure hubs, set against a dramatic Rocky Mountain backdrop, and home to a flourishing industry of adventure, outdoor exploration and unforgettable experiences by bike, raft, climbing, hiking, or fishing. It’s not hard to see why the outdoor industry chose Denver to host its biannual Outdoor Retailer trade show! It breathes adventure. Located close to Boulder and Golden, Denver offers a host of opportunities of unlimited imagination that tests the body and spirit mentally and physically. From a bike tour to Red Rocks Amphitheater to climbing in Golden and rafting in Clear Creek Canyon, there’s enough to make sure your team returns year after year. 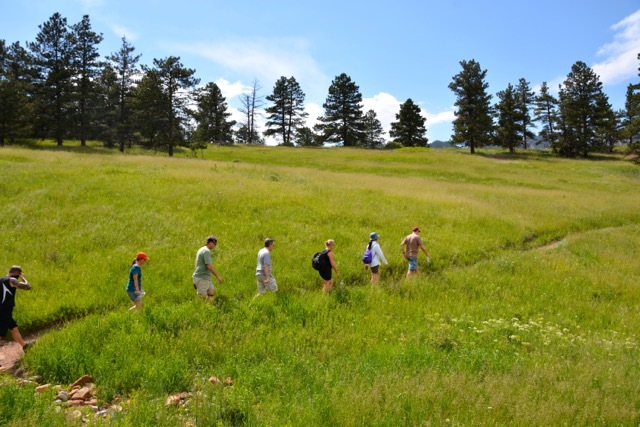 Here are some of our favorite Denver Group Adventure Tours. If there were any music venue in the world that deserves the word ‘iconic’, Red Rocks Amphitheater would be at the top of the list. Bands like The Beatles, The Grateful Dead, Jimi Hendrix, U2, Radiohead, and Daft Punk have rocked out to the Rocky Mountain sky. A cruise from Denver to Red Rocks could almost be considered a rock pilgrimage of sorts, going to the hollowed canyon-like theater where some of the greatest moments in music history occurred. The ride to Red Rocks takes approximately two and a half to three hours biking from central Denver. Bikers will gain just over 1,300 feet on a gradual uphill cruise that will test physical fortitude as we ride gentle plains from Denver to Morrison and up to the amphitheater. Singing while riding is highly encouraged. Colorado is one of the world’s climbing meccas, with thousands of routes across the Front Range, from the easiest for the beginners, to some of the worlds most cutting edge ascents. 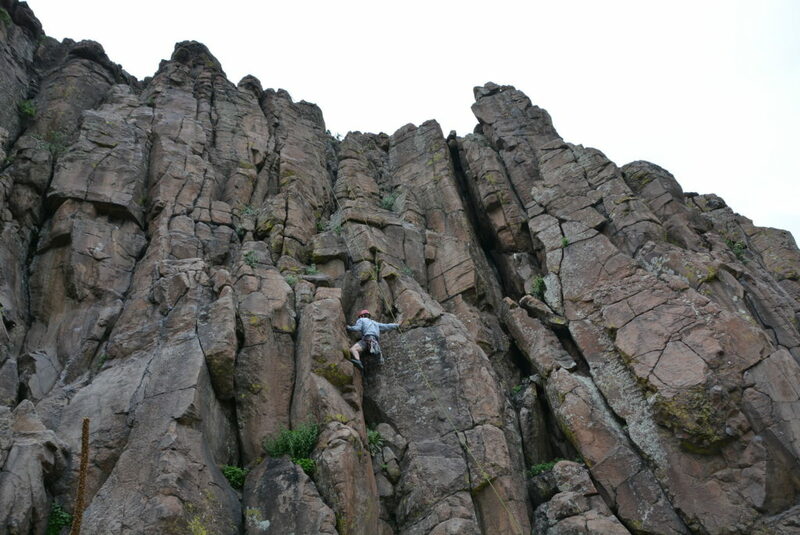 Table Mountain in Golden, set just 30-minutes from Denver, is known for it’s easy to moderate routes and rust-colored columns, that are thrilling for every level of climber. Meanwhile, we’re looking over the hills of Golden, a historical town known for it’s colorful characters such as Buffalo Bill, who is buried on Lookout Mountain, which is visible from the climbing wall. Not just limited to rock climbing, Table Mountain is also known for it’s thrilling mountain biking and hiking trails, which weave around the formations and offer a breathtaking view of Denver, the international airport and Boulder, with it’s iconic Flatirons in the distance. 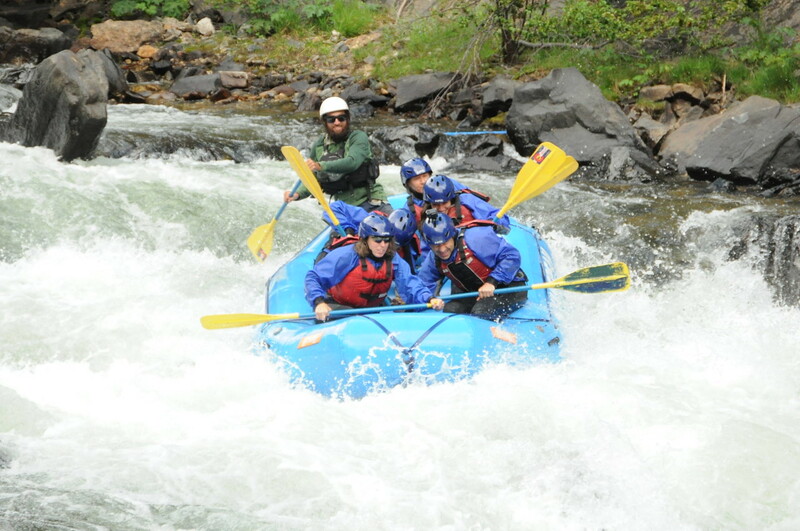 Whitewater Rafting The Clear Creek River Close To Denver Colorado. Set between relics of Colorado’s mining past, Clear Creek Canyon is a gem of the Front Range, with hiking trails, stunning rock climbing walls, and some of the best whitewater rafting in Colorado. This is how we find ourselves in Idaho Springs, a sleepy little rafting town, which prides itself as the gateway to the creek. Clear Creek features thrilling rapids for all levels of paddler, from mellow Class II to some of the most thrilling Class V waves in the state. While riding, rafters are treated to historical relics of Clear Creeks mining and industrial past, from the ruins of mine shacks and railways, to windmills and charming rustic bridges. It’s truly living a Western dream! Clear Creek is the most accessible river from Denver, with daily schedules that fit every time frame. Then after the trip, relax with a microbrew from one of Idaho Springs famed craft breweries. It’s the best way to end your adventure! Of course the adventure beyond Denver is limitless. From exploring Boulder to seeing Rocky Mountain National Park or Roosevelt National Forest, including the James and Indian Peaks Wildernesses. Where do you want to go on adventure with your team?